Unless you really understand blogging and what a blogger does, you might have some preconceived notions about blogging and bloggers. 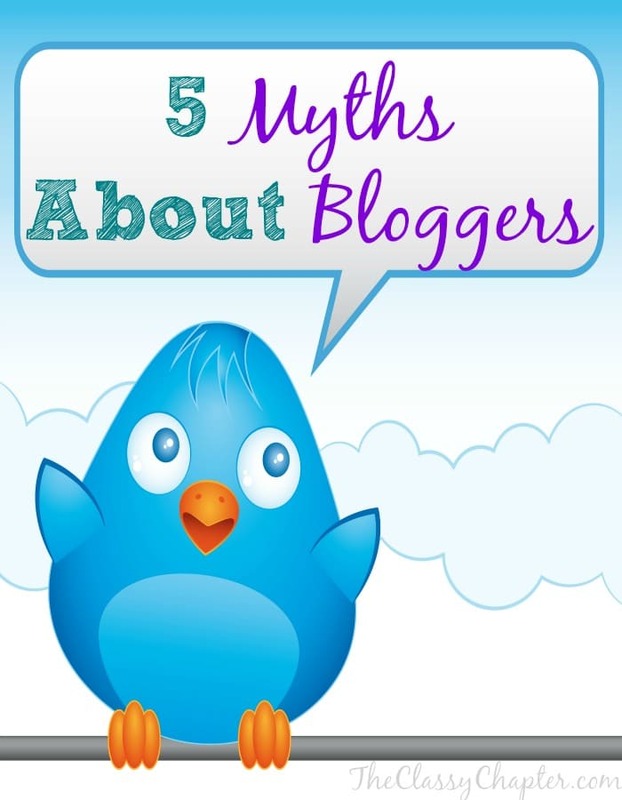 Today, we’ll be debunking some of those common myths about bloggers! 1. Bloggers just want free product. While I think this myth is partially true, I know for a fact that not all bloggers just want free product. In fact, a lot of bloggers won’t take free product. More and more bloggers are starting to consider themselves professionals and in return prefer compensation for sponsored content. 2. Anyone can do it. Sorry to burst your bubble but no, not everyone can be a blogger. From the outside looking in blogging probably seems pretty easy but there is so much that goes into it. If you want to start a blog you’ll need to be willing to sacrifice a big part of your life. Blogging takes a lot of time! 3. Blogging isn’t a real job. Blogging is most definitely a job! As stated above a lot goes into blogging. In order to be successful you’ll need to understand social media, SEO, photography, marketing, branding, networking and so much more! Most bloggers don’t start off earning any money at all so everything has to be learned, there simply isn’t a budget for hiring employees. Imagine opening a restaurant with no money to hire employees. You’d have to be the cook, cashier, waiter, dishwasher and bus boy! 4. It’s all about the money. Yes, for some it is all about the money but this isn’t true across the board. There are plenty of bloggers who would blog even if they didn’t make a penny. I would also like to point out that who cares if it is all about the money. Blogging is hard and compensation for all the blood, sweat and tears is usually well deserved. 5. Bloggers are lazy. Again, so far from the truth! Bloggers are far from lazy. Bloggers work around the clock and are constantly learning and researching. What do you think are some of the most common myths about bloggers? You are right! It takes so much time. It’s actually crazy how much time it takes. Such a wonderful article, thank you! When I tell folks that I am a blogger, I get a lot of funny looks. Yes, there are perks to blogging (like receiving free products) but what people don’t understand it that when I receive free products, I am committed to writing an in-depth, informative blog post in a timely manner (including photos, editing, research, SEO, etc.) I work full time as well and it’s very hard to keep up with a blog sometimes. When I first started blogging, I thought it would be so easy. Now I’m spending hours each day trying to write posts, edit, adjust my layout, email and respond to sponsors, comments, etc. At the end of the day though, it’s my passion and worth every moment of hard work. Right? So much goes into it! It’s not just writing for 5 minutes and hitting publish. I think a lot of people have the impression that bloggers are narcissists. There are a few of those, sure, but that’s not the rule. Most of us genuinely enjoy interacting with others! Rabia @TheLiebers recently posted…Benjamin is Turning Five! I agree, there are always a few bad apples. Thankfully, the majority of bloggers are awesome! #2 is on point. It takes a lot of work, dedication, and creativity to blog. You have to have drive and a thick skin – not everyone is going to like you or what you write, and you shouldn’t want everyone to do so. You have to have the thickest skin! People can be so mean. Hi, visiting you via the SITS girls. I am so glad that you are writing to shed light on what a blogger really is and what blogging really entails! Most people discount us as wanna-be writers who cannot make it as real writers. Blogging is the hardest thing I’ve ever done, it takes discipline, commitment and persistence! Thank you for this post. Thank you for stopping by! Blogging is such a hard job! People also don’t realize we do it for free for so long. Unfortunately I have run into quite a few that fit these categories, and it is those that make a bad name for the rest of us. I completely agree with these facts. I know from my own experience that bloggers are the farthest from being lazy. AGREED! Anyone can start a blog, but not everyone can be a professional blogger. You are spot on. Those are great. You have to have a passion about the things you write about or you won’t have readership. Oh my gosh yes to all of this!!! I love what I do an a lot of effort goes into it especially a lot of the behind the scenes that you mentioned! I can certainly relate to this post! We are certainly NOT LAZY. That one is the biggest myth that bugs me! I think anyone who tries out blogging for any amount of time will realize it isn’t easy and it sure isn’t for the lazy! I think bloggers just make it look easy and reader’s don’t always know all of the behind-the-scenes effort that goes into each post! I think you are spot on. There really is a ton that goes into blogging.